We are so grateful for your contributions to the project and have one last, very important task for you. We need all Orchid Observers participants to complete a short survey about your level of experience at plant identification and online transcription/classification before taking part, to understand how knowledge and information was shared amongst volunteers within the project. We’d be really grateful if you would spare 10 minutes to complete the survey by 31st July 2016. It is part of our ongoing research into citizen science as a tool for scientific research but also for skills development and knowledge exchange. Orchid Observers was a new and innovative type of project combining outdoor recording and online transcription activities – it was the first of its kind. We hoped to attract both amateur naturalists who previously recorded plants or other wildlife outdoors, and also online volunteers who are experienced at classifying and transcribing data online. We, and our funders the Arts and Humanities Research Council, want to understand whether and how these two ‘types’ of citizen scientists took part and interacted within Orchid Observers. We would be enormously grateful if you would take part in the survey. Your answers will be analysed anonymously, but as a thank you for your time you can enter a prize draw to win a wall print of the 2010 Wildlife Photographer of the Year image Orchid in a flush of garlic or a copy of Orchids of Britain and Ireland: A Field and Site Guide by Harrap and Harrap. 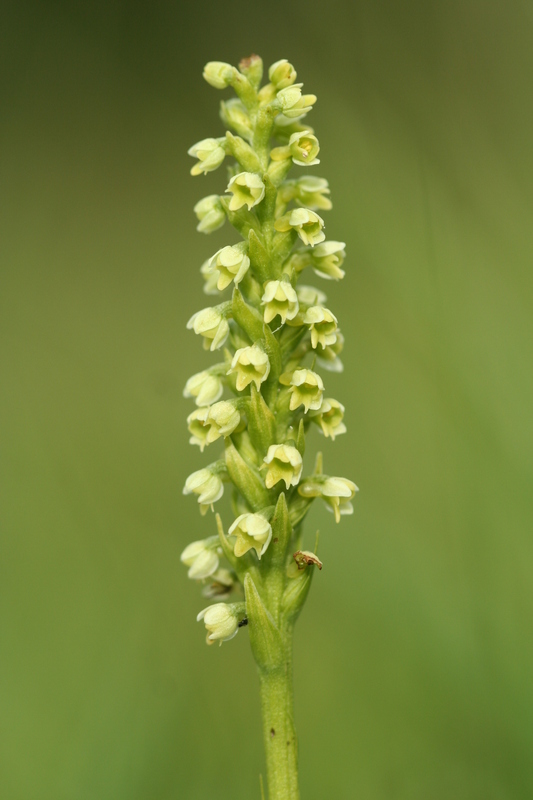 The Orchid Observers project is closing at the end of July (so if you can help us out with the last few classifications then you have just two weeks left!). We’d like to say a huge thank you to all of the volunteers who photographed orchids, identified photos online or transcribed and classified our museum specimens. Your time, expertise and enthusiasm is really valued by the team. 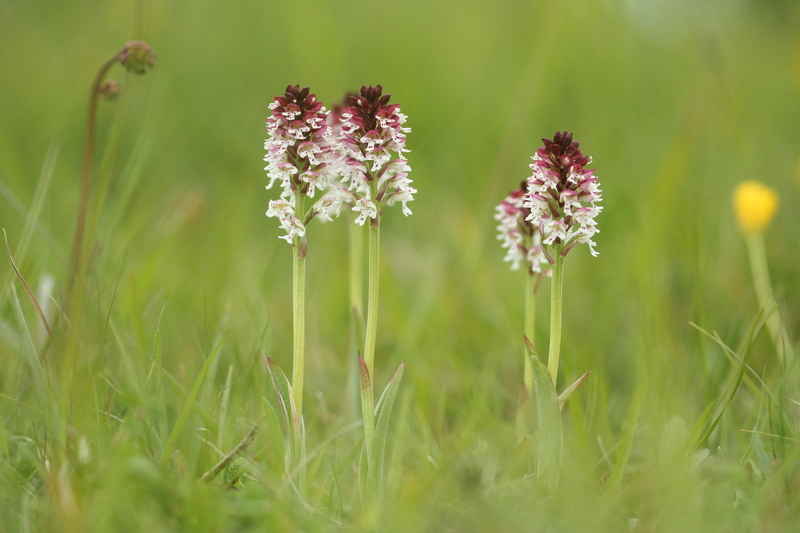 The Orchid Observers project is closing at the end of July (so if you can help us out with the last few classifications then you have just two weeks left!). We’d like to say a huge thank you to all of the volunteers who photographed orchids, identified photos online or transcribed and classified our museum specimens. Your time, expertise and enthusiasm is really valued, so thanks for being part of the Orchid Observers team. The second question was of particular interest to our funders, the Arts and Humanities Research Council. We are asking all Orchid Observers volunteers to answer a short survey to help us address the second question, so keep an eye out for that coming soon. Here I’ll update you on the science research outcomes and how we are analysing the data you’ve collected. With your help, the photos of orchids taken in 2015 have been identified and combined with the classifications and transcriptions you made from the historical museum specimens. 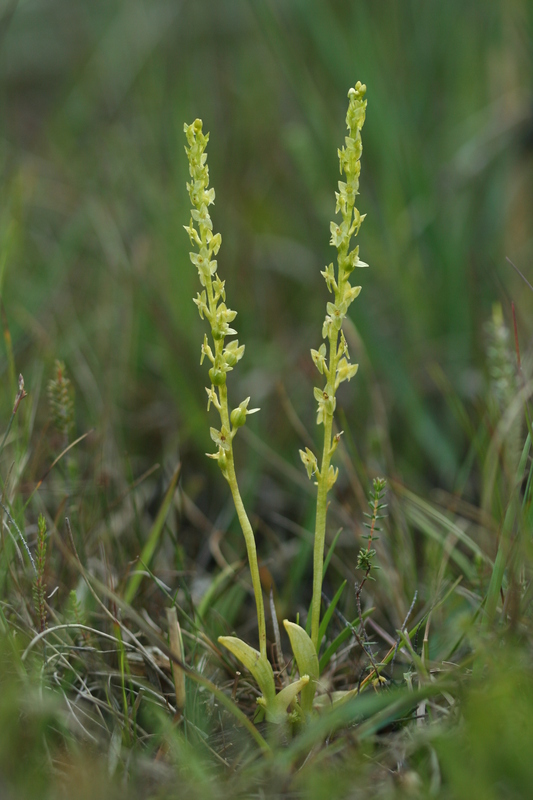 This is a fantastic achievement and means that we can now start to analyse the dataset as a whole, exploring how flowering times for the 29 orchid species included in the project vary in relation to key climate variables. It is an extremely exciting stage of the project for us, as we begin to see what the data analysis will reveal! Orchid photographs taken all over the UK, from the Shetland Islands in the far North, to the Isles of Scilly in the far Southwest. Orchid Observers volunteers photographed the Green-winged orchid (Anacamptis morio) and White helleborine (Cephalanthera damasonium) in several previously unknown locations. These orchids are classified as ‘near threatened’ and ‘vulnerable’ to extinction in the UK respectively, so discovering new populations is really encouraging. We look forward to working with colleagues at the Botanical Society of Britain and Ireland (BSBI) to double-check and then further explore these valuable finds! It just goes to show that even well-studied groups like orchids can still surprise us and citizen scientists can make exciting new discoveries. The wide geographical spread of observations is vital to the climate change research question. Geographical variation in flowering time may be expected, and a wide spread of data allows us to factor this in when analysing the results. Orchids were photographed all over the UK! 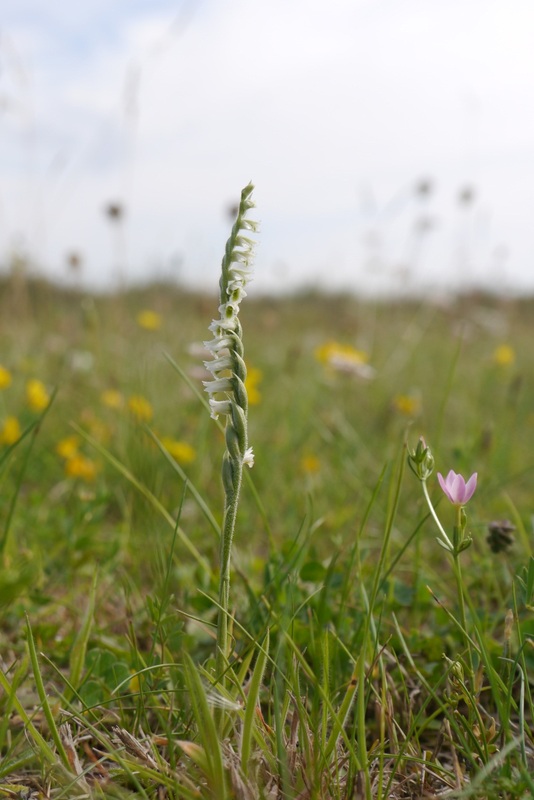 We are about to start the full analysis of the data, but an initial scoping study has been completed for one species, the Green-winged orchid (Anacamptis morio). 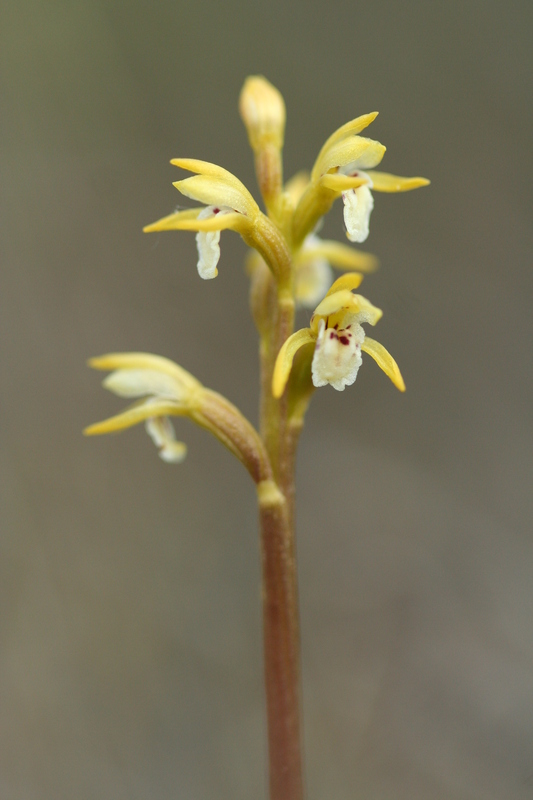 This analysis combined the flowering time data extracted from historical Museum specimens with recent biological records from the BSBI’s database and the 2015 Orchid Observers field observations. Initial results show that the median date of last year’s flowering was at least 10 days earlier than that shown in the museum data (which mainly covers the years 1830 to 1970). We can also see that peak flowering time for this species advances by just over four days for every 1 degree Celsius rise in mean February to April temperature. The yellow box represents flowering dates of Green-winged orchids in the museum’s collections, and the red box represents flowering dates of the same species but from the photographs taken in 2015. It shows a shift of at least 10 days in median flowering date. Initial indications are that different orchid species may differ significantly in their response to climate change, something that we look forward to investigating in more detail. These preliminary results should of course be treated with care, however, they are certainly very promising! 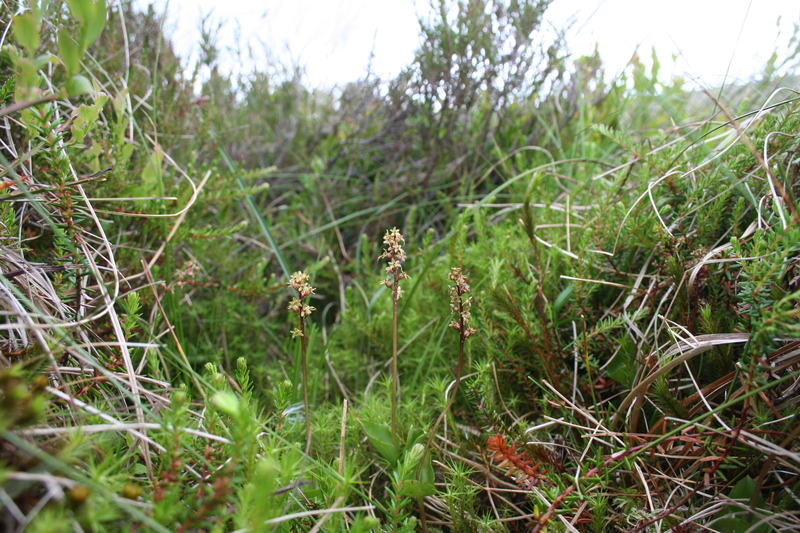 Do you know your Common twayblade from your Lesser twayblade? We asked Orchid Observers volunteers to identify the photographs uploaded to the site. But we know orchids can be a tricky group to identify, and lots of people might not be familiar with the different species. We made a handy ID guide to help, and we know some volunteers are expert botanists, but we wanted to find out how accurate the identifications were to ensure they were research quality. The great news is, the majority of them were! We took a sub-sample of 163 images and checked whether the identification the Orchid Observers volunteers gave was correct (more than one person looked at each photo, and sometimes you agreed with one another’s identifications and sometimes you disagreed!). 19 of the 29 species of orchids have quite distinctive features, and for these the ID accuracy was close to 100% – great news! 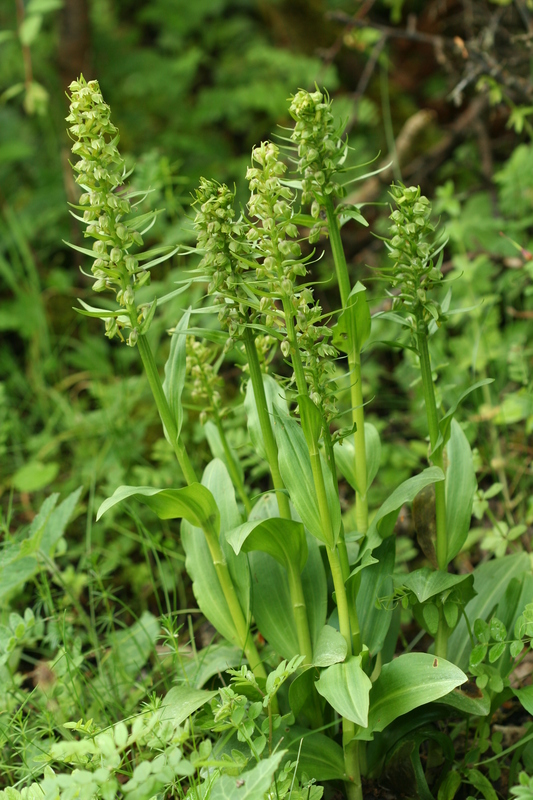 As we anticipated, a couple of trickier species groups such as the spotted-orchids and marsh-orchids (Dactylorhiza species) and the fragrant-orchids (Gymnadenia species) presented problems as they hybridise easily, so can have features that are a blend of two different species. 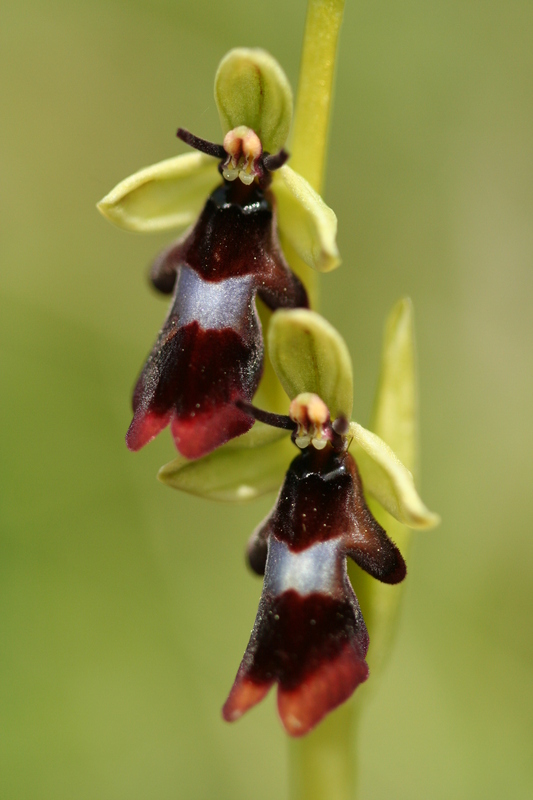 Even so, between 70% and 90% of identifications were correct, and for a couple, even the orchid experts couldn’t agree! We also asked you to record the flowering stage (in bud, in flower etc). In the test sample, all of the flowering stage tags were correct across all species. The museum is still quite new to crowdsourcing projects, so it’s great for us to get an understanding of how difficult a task we can challenge you guys with! Here you’ve proven that you’re absolutely up to the task of identifying some pretty difficult organisms and transcribing hard-to-read handwriting, so watch this space for more projects! We are currently working with the Notes from Nature project on the Zooniverse to develop new projects to transcribe more of our museum collections. We have over 80 million specimens in all, so there’s plenty to be getting on with! The Museum is committed to making its collections and the information they hold more accessible, for science and environmental research, but also for everyone to enjoy. We look forward to working with you on this in future! We will also make the data gathered through this project freely available to others, making best use of the data for research and conservation. Photographic records of orchids in 2015 will be shared with the BSBI and the National Biodiversity Network, and the collections data will be available on the Museum’s Data Portal where you can see all our digitised collections and their associated information. Thanks again for your contribution to the project. With very best wishes from the Orchid Observers team. We’ve already had a fantastic response from the amateur naturalist and professional botanical community, alongside nature loving citizen scientists, who went out all over the country to photograph orchids flowering in 2015, and submit their images and records to the project – thank you. 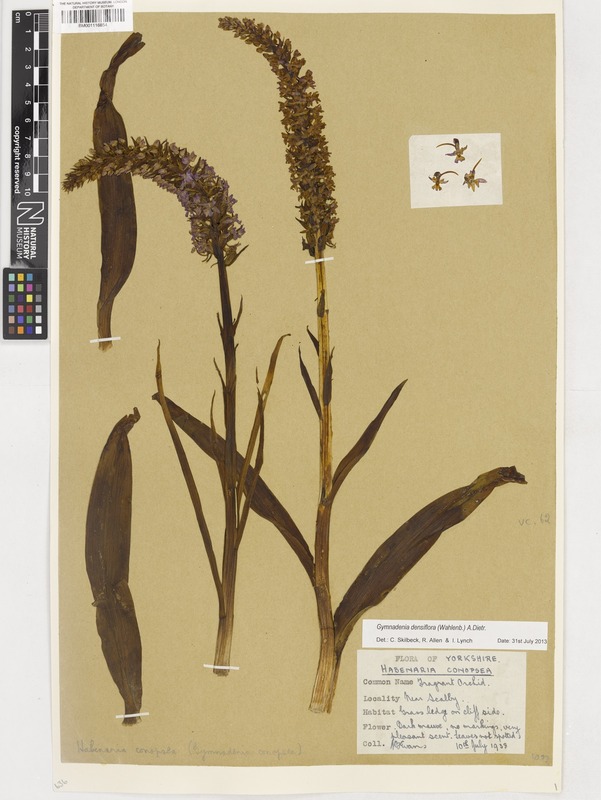 Many of you have also been engaged in the online identification of species and tagging flowering stages in the uploaded images, as well as transcribing data from our extensive Museum herbarium collection, but with around10,000 historical orchid specimens in our collection there is still a lot of useful data to extract. In October, to help us speed up our goal to annotate all the specimen data for the Orchid Observers research, we invited anyone interested in volunteering a day of their time to work alongside a scientist from the Orchid Observers research team here in the Museum to help with this task! Visiteering is a new strand to the volunteer offer at the Natural History Museum which invites small groups of volunteers into the Museum for a day to for a genuine collections-based experience and a chance to support the Museum’s work. Visiteers are set a challenge relating to the collections and work along museum scientists. We piloted the first ever Visiteer day in October with the Orchid Observers project and challenged each visiteer to verify or transcribe data for 50 or more museum orchid specimens on the Orchid Observers website. Since October we have offered 7 Visiteering days for up to 10 people. Over 300 people registered their interest to get involved and a total of 56 volunteers have taken part in checking and transcribing data for our orchid specimens; collectively they succeeded in annotating 3,424 specimens! On a scale of 1-10, participants were either likely (8) to extremely likely (9-10) to continue verifying/transcribing from home. All participants understood the value of their contribution and the ambitions of Orchid observers. Practical skills gained ranged from: transcribing herbarium sheets, to deciphering handwriting and investigation skills, cross referencing and information searches. Feedback from visiteers: What did you most enjoy about your visiteer day? A giant THANK YOU to all our visiteers who came into the Natural History Museum to offer their time to the Orchid Observers project, and for your valuable and lasting contribution to the Museum and our research. And a special big thank you to Ali Thomas, Volunteer Manager extraordinaire! And to all the Museum teams who made Visiteering possible. And you’ve still got time to upload any 2015 field records and photographs – we need these by mid-October for inclusion in our analysis. Don’t forget to keep identifying species and flowering stage on the Identify page, and also to try your hand at verifying and transcribing our museum specimen labels on the Transcribe page.